How does one define chic? Elegantly and stylishly fashionable, or perhaps something evocative of debonair sophistication? We associate a chic interior aesthetic with desirable, dapper and dashing refinement. A place or space that exudes tasteful yet understated flair. When designing a home, a chic interior is one of the most sought-after qualities. Today at homify, we're going to show you how to transform one of your most important domestic assets, your balcony, into a chic, elegant yet playful playground; an area of your home that provides rest, relaxation, as well as a neat location to host friends, get-togethers and events. A balcony or terrace is a highly desirable feature, and one which should be decorated, adorned and displayed with style and sophistication. Read on below to begin planning your new outdoor space today! 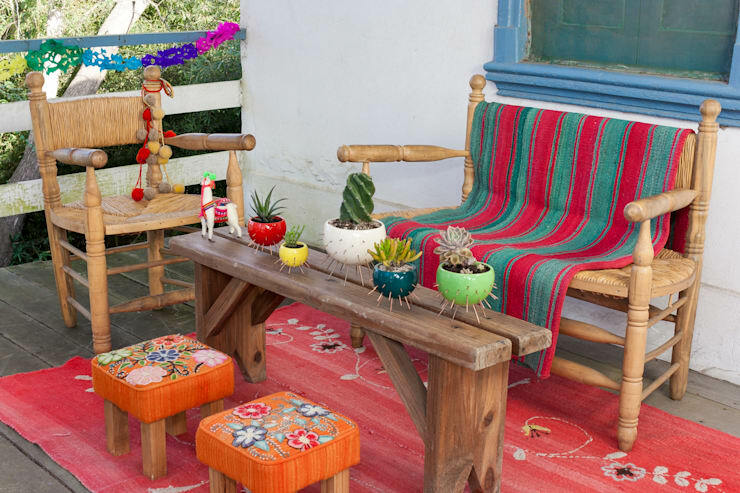 There are so many different ways you can transform your balcony from dull or bland to chic and fabulous, and one of these is to incorporate some colour. Look at combining different patterns, adding plants, and working with rustic yet engaging furniture. Take some cues from this gorgeous example, and pick a theme that will bring life and energy to your space. A bar can provide a brilliant addition to your balcony, up your sophistication status, and impart a feeling of amusement and excitement. 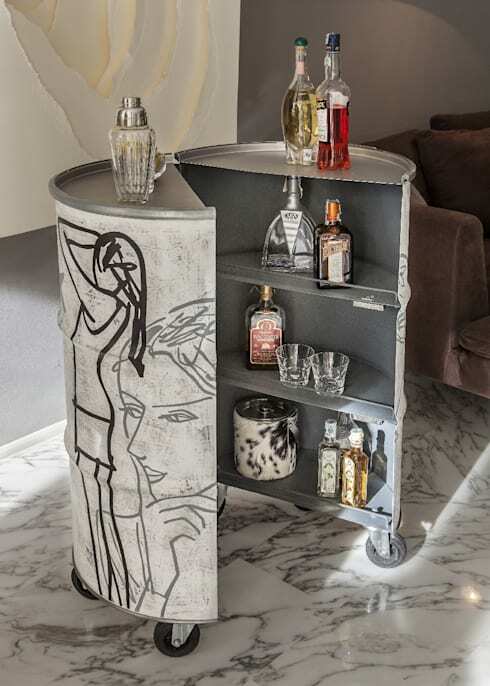 If you do not have space for a separate cupboard, opt for a bar cart or trolley, which can be moved around depending on the number of guests you have. 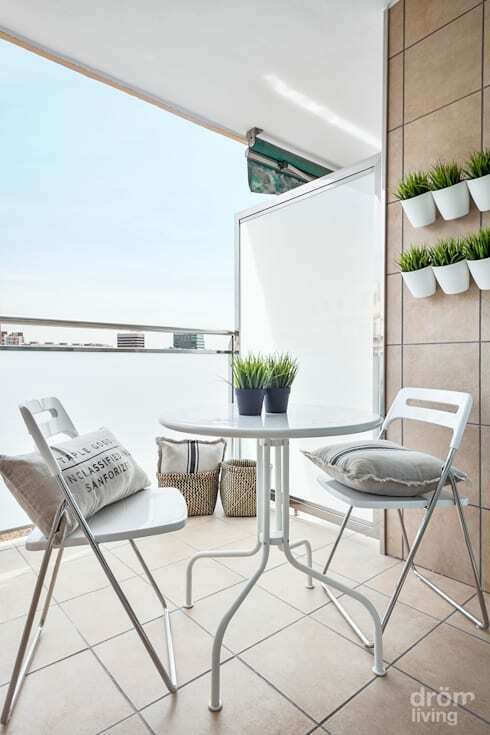 Surfaces are essential to a chic balcony. If your space enjoys some morning or afternoon sun, consider some relaxing deck chairs or loungers. 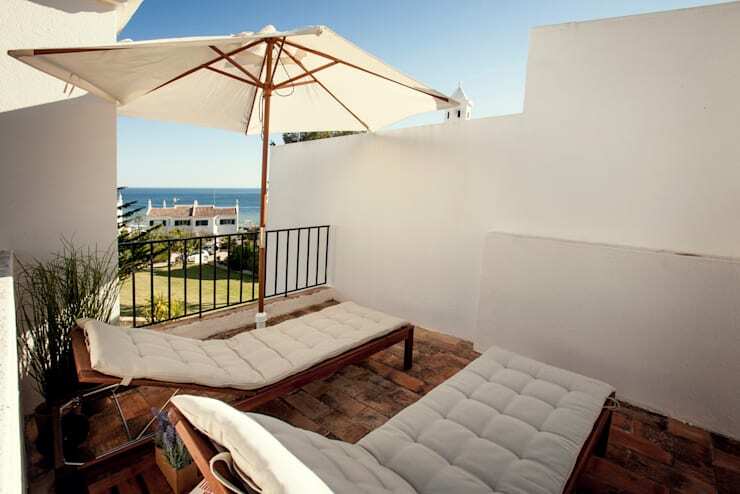 These are chic and sophisticated, while offering a place to rest and rejuvenate. 4. Plants, plants and more plants! Plants are crucial to a balcony space. If you want a chic outdoor area, you need at least a couple of plants. If you are worried about your lack of gardening skills, you can opt for low-maintenance varieties that require little to no attention. Your plants will impart a feeling of nature and organic elegance, while filtering toxins from the surrounding atmosphere, improving your home’s air quality. Sometimes less is more when attempting a chic and elegant aesthetic. Pick designer pieces that have been carefully crafted to look and feel luxurious. 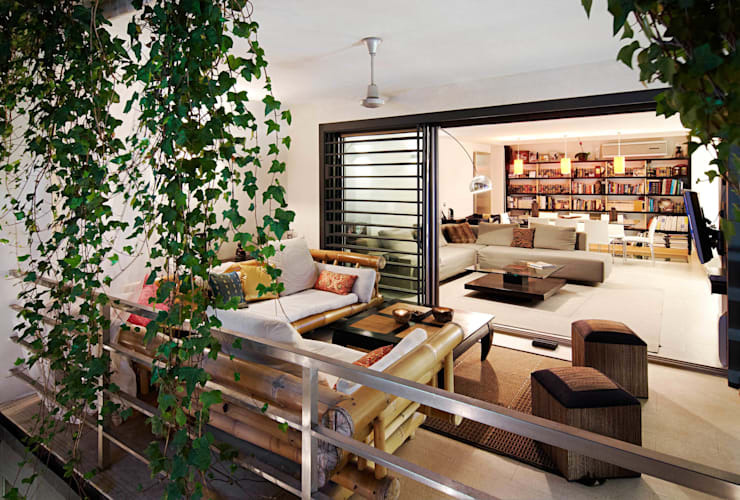 Avoid overcrowding your space, and instead be prudent with the furniture you add to your balcony area. 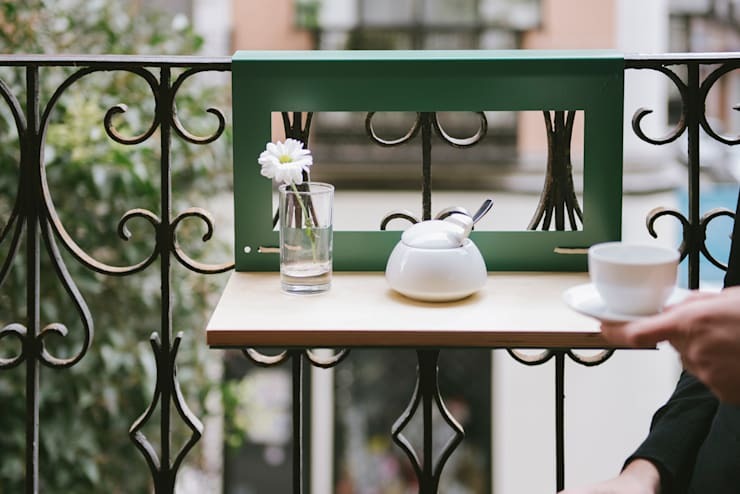 Accessories can make or break the balcony, and for this reason it is essential you choose something that will suit your desired ambience and aesthetic. When working with a compact space, this is especially important. In this example we see a small table that hangs to the side of a balustrade and railing. Saving you space, while still looking fabulous! 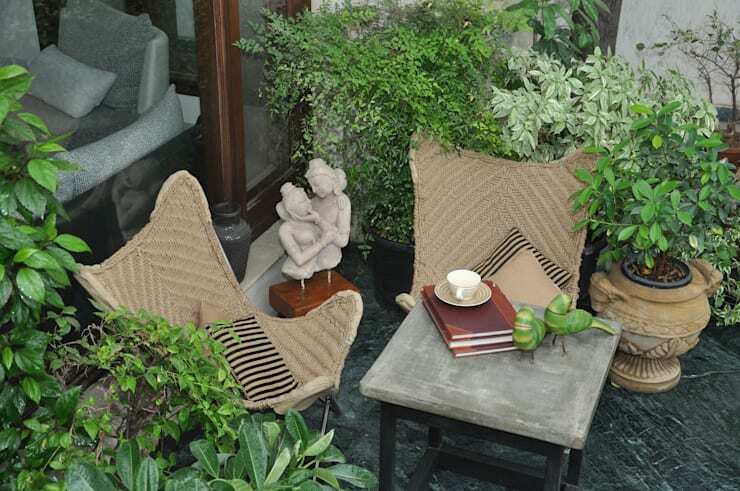 In addition to the pieces you add to your balcony you need to consider the placement of each item. Consult a professional interior designer if you are unsure how to achieve the right mix of negative space and furniture. Keeping your space uncomplicated will help it to feel chic and welcoming, while offering a clean and uninterrupted aura. Avoid congestion and excess, while keeping things simple with a minimalist design. 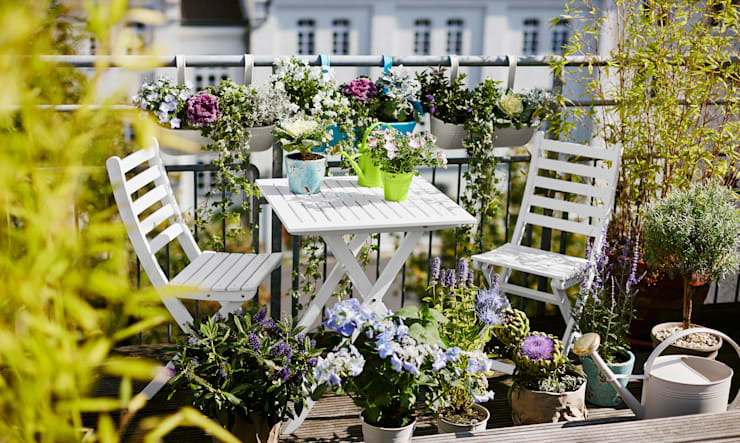 In any balcony space there are certain essentials, which are required to keep everything pruned, neat, stylish and tidy. 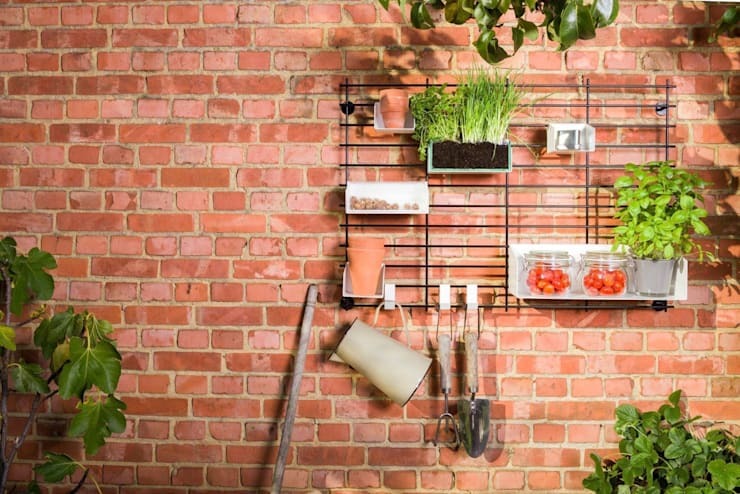 These might include gardening tools, cleaning products, or plant watering accessories. Keep these must-have amenities ordered and accessible by installing a wall-mounted organiser. Alternatively, ensure you have storage cupboards to keep everything well-arranged. What are your balcony necessities and must-haves?